Seriously, when I saw the Strike Spike product at the NRA show, my first thought was of Skipper hitting Gilligan with his hat. Surely, this product was nothing more than a gimmick? On the other hand, I wear a hat practically everywhere and I do like options. So, I had to try it. As you can see from the product photo, the Strike Spike fits onto the backstrap of a hat. They are not joking about the ‘spike’ part of the product. Here’s what it looks like after attaching to my hat. Sorry about the bad lighting for these photos. Now, those spikes are sharp and very hard. So, just like learning a draw for a new holster, my first piece of advice if you purchase this product is DO NOT adjust the fit of your cap by moving your hand palm-towards-head downward over the back of the cap. It will hurt. Next, I measured the reach advantage over a fist. I grasped the bill of my cap as if intending to use the product, then measured the distance from the middle knuckle to the outer edge of the Strike Spike. That distance exceeded nine inches. Now, how does it perform? I don’t have one of those cool ballistic dummies like they used on Deadliest Warrior, so I had to settle for the phone book test. The product seems to work best with a downward striking motion (although a good left or right hook might work as well). 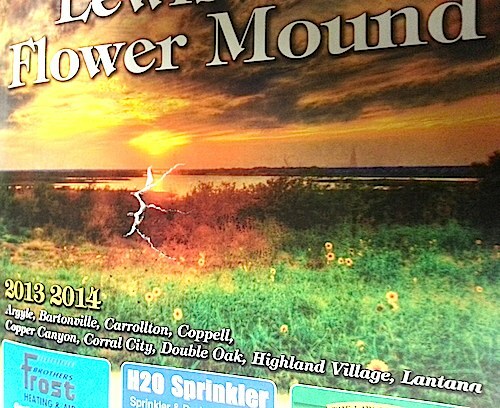 I placed the phone book on the bed and took an average swing with mostly arm motion and only minor wrist snap. So, this represents an ‘average’ strike and less than what could be achieved with a full wrist snap and responding forcefully in the heat of a counterattack. 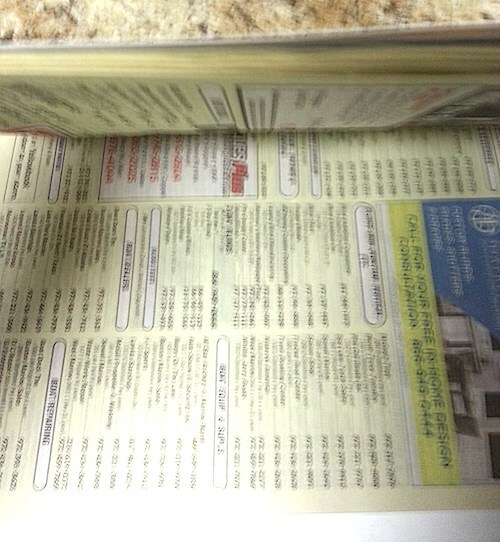 The photo does not adequately illustrate the serious indentation in the phone book. The following shot illustrates how many pages were directly affected; the bottom page is the first one showing no sign of an indentation or tear. Again, that’s from what I consider to be an ‘average’ strike. I performed another test by hitting the phone book as hard as I could with a lot of wrist snap and it dented another nine pages. The tearing at impact was also greater. 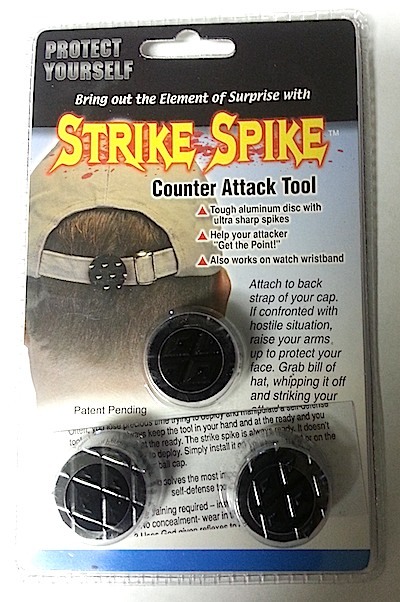 The Strike Spike will not instantly turn you into the Deadliest Warrior. It is not the response of choice if I’m being rushed by a 250 lb guy with a crowbar who is jacked up on crystal meth. It’s not a substitute for learning some sort of minimal hand-to-hand self defense techniques for CQB. And, it’s definitely not a gimmick. For the price, I like it much better than a stun gun. I was recently hit with a stun gun by accident (I won’t name who was involved). I took 5M volts for over two seconds in a pretty darn sensitive area. Yes, it was painful, but that was all. The hit left no lasting damage and after the two seconds, I was really pissed off and riding a wave of adrenaline-indcuded anger. If I was an attacker that was on adrenaline and who knows what else, my first reaction would be to rip that stun gun out of the bozo’s hand and shove it up his azz. I can pretty much guarantee that a solid hit with the Strike Spike will leave lasting damage as well as inflict pain. There will be blood. I have not yet seen any Texas Gun Show vendors selling this product, so you may have to order online. Both my wife and I now wear one on our hats. I suppose you could attach the product to a paracord bracelet or even a watch with a thin band. At this point, however, it ceases to be a useful striking implement as no one strikes with the edge of a forearm. It could be useful in very close quarters to drag across someone’s face or eyes after your hat has been knocked off of you are in a grappling situation with a determined attacker. I’m also going to experiment with placing one on my shoe to augment kicks.